He decided to get Asher a Reavers event since Theta just krabs in Delve day and night I suppose. The event was to be a frigate race. The route and frigate type were to be announced at the time of the race when Ranger Gama would hand them out. He imported ten frigates, one for himself, one for Asher, and eight more for whoever showed up in time to claim one. The planned time for the race was delayed on a couple of occasions, which worked out for me as I happened to sit down at my desk just after Asher pinged Reavers to let them know it was on. 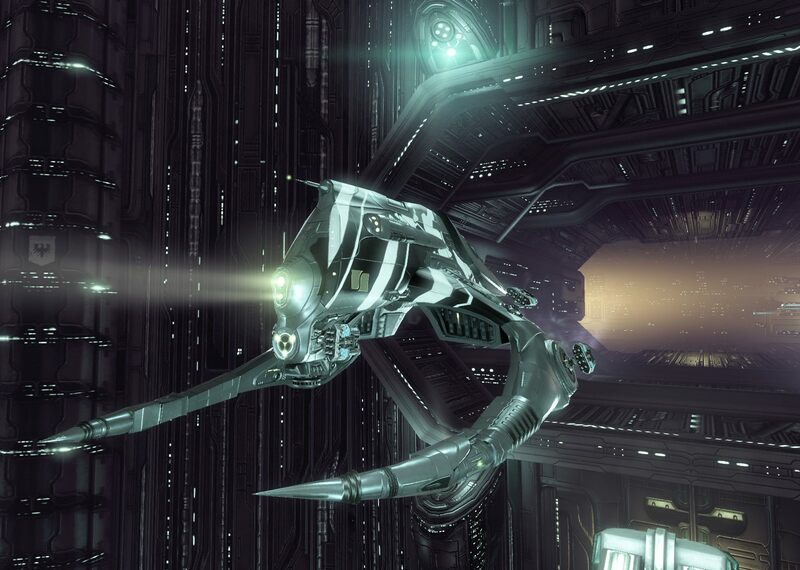 I was in soon enough to claim one of the frigates, which turned out to be a Daredevil, a Serpentis faction frigate. 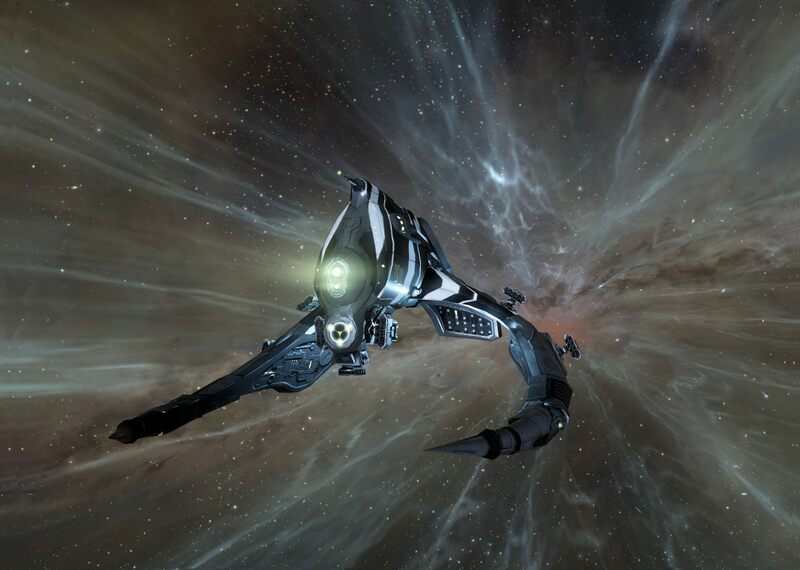 Me being me, I quickly logged an alt into Jita to buy a SKIN because I just can’t undock anymore without one. The Glacial Drift SKIN was available and cheap, but then I saw some of the Serpentis Victory SKINs listed as well. Those were given away as part of Alliance Tournament XV. 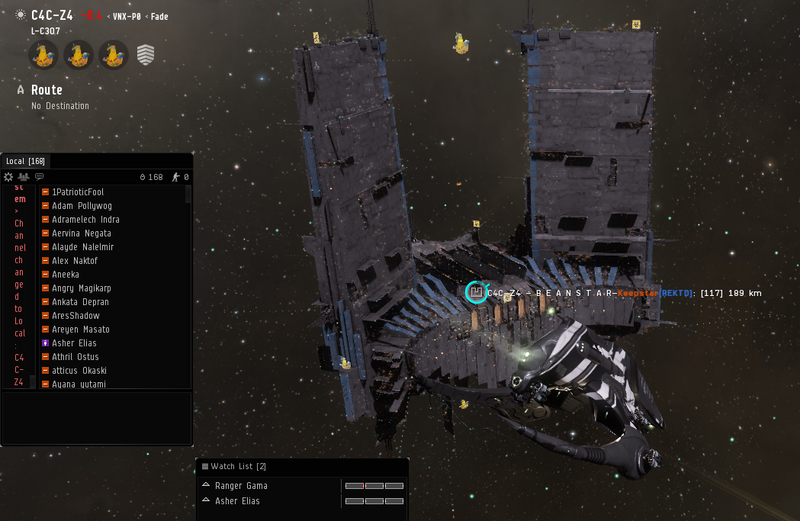 They were much more pricey, going for over 300 million ISK, but also more rare. So I picked up one of those and contracted it to myself and activated it. The race was originally going to be a point-to-point run, but Asher suggested something to make it more interesting… or dangerous… or both… so the instructions were updated in the fleet MOTD. We undocked our frigates and met up on a citadel in ROIR. From there the race began. The frigates themselves were setup for speed, capable of well over 5km/sec with the included faction MWD burning. Otherwise, as you can see from one of the Daredevils that got caught, there was a bit of shielding and some festival launchers armed with fireworks to use along the way. As we flew off Apple Pear showed up and was given a ship. Only seven had been handed out so he started off a few gates behind us. Given that the route was static and everybody was warping at the same speed he needed some hostile intervention to help his cause. The rest of us warped along towards the first destination. This was where I started to have problems. I was up with the leaders when one of our cats managed to get himself caught in the handle of a shopping bag which was hooked over the door across the hall from me and began to thrash wildly, seeming more likely to harm himself via that than anything the bag would do. I dropped my headset, grabbed him, lifted him up to take off any strain, then calmed him for a bit before slipping his head out and letting him run off. He was okay and I had my daughter dispose of the bag, but now I was behind the pack, though still out in front of Apple Pear. At least I was still alive, having sat uncloaked on a gate for a bit. Then I ran into another issue. When we arrived in JU-OWQ in Deklein, my auto-pilot route sent me back the way we came to get to C4C-Z4. I still do not understand why, as I checked later and did not see any systems anywhere close by on my avoid list. 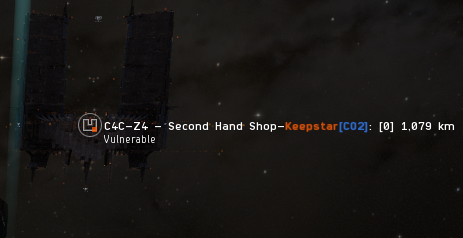 So I passed by Apple Pear going the other way, made it through CCP-US, where he had reported a gate camp on both gates, and on towards Fade. 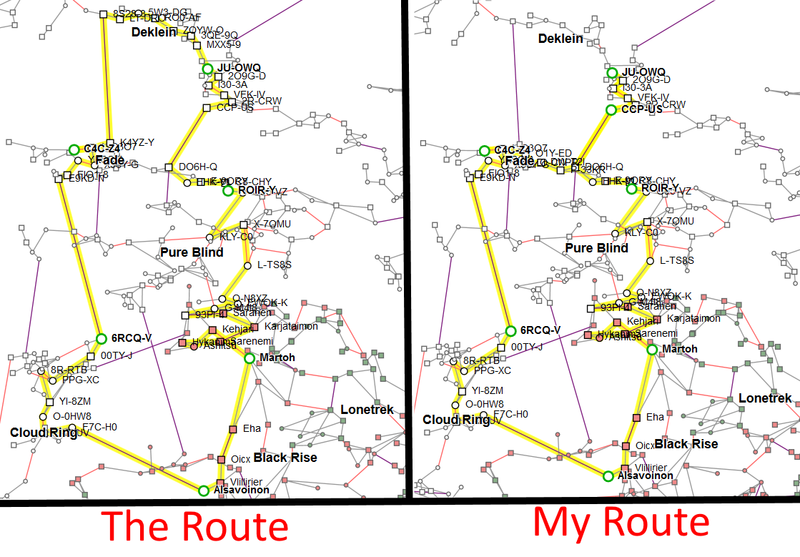 Fortunately there was nothing in the rules about the route, just the requirement to hit the specified waypoints, so that my route differed from the route everybody else took didn’t matter. Well, it did matter a bit. My route was two jumps longer, but it turned out to be a bit safe as Asher and the rest of the pack ran into some trouble, with two Daredevils getting popped in K4YZ-Y. I made it to C4C without incident, but was easily 3 minutes behind Asher, Ranger Gama, and Norgraad. I warped on grid with the Keepstar and started burning away from it and the few carriers that had fighters out to try and nab us. Asher and Ranger Gama seemed to do okay, but Norgraad managed to get popped by the locals, though gamely carried on in his pod. They warped off, heading to the next waypoint while I lingered on grid watching the stopwatch on my iPhone slowly count off the minutes. The leaders were reporting some people waiting for them ahead, but by the time I was able to warp off towards the next destination they seemed to have given up. 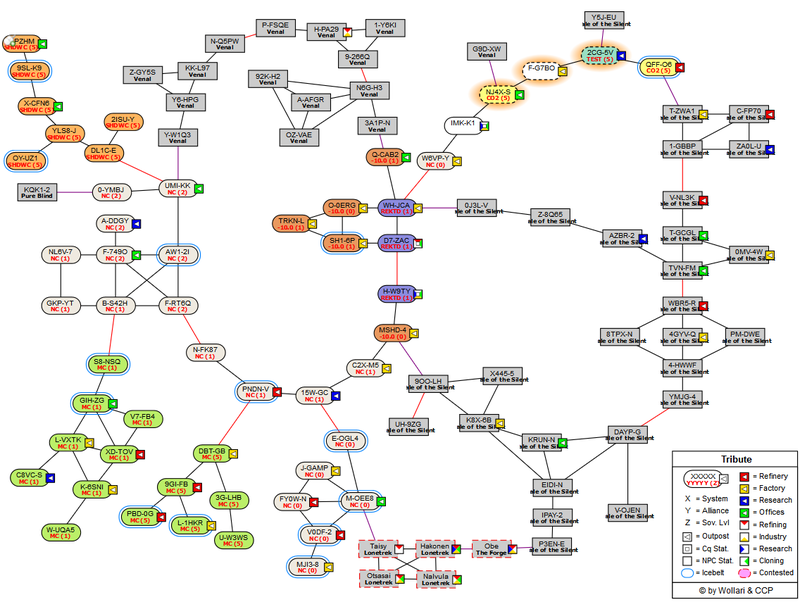 I left Apple Pear behind on the Keepstar grid and went in chase of the leaders. While there was mutterings on coms about the dangers ahead, they were often vague, like the leaders did not want to help those chasing them catch up. But it didn’t really matter. The only hope I had of catching up was to warp straight from gate to gate and just hope to crash or burn past any gate camp. So off I went. Fortunately for myself an Apple Pear, the path through was pretty sparsely populated. At least that was fortunate for us as far as staying alive went. It also meant that there wasn’t much to slow down Asher or Ranger Gama or even Norgraad in his pod. Norgraad’s slow warps mean I was able to pass him at least. He got caught in Cloud Ring while I burned on. The only real peril for me was at the Alsavoinon gate in F7C-H0. There, on the boarder between null sec and low was the expected camp with a bubble setup. I landed straight in it and the campers were slow enough to react to my arrival that I thought I might make it through to the gate unscathed. However, burning in as fast as I did I hit the gate and bounced off it so far that I had to burn in again. I took some damage, dropping to half shields, as I made my way back to the gate again, but got through and was on my way. 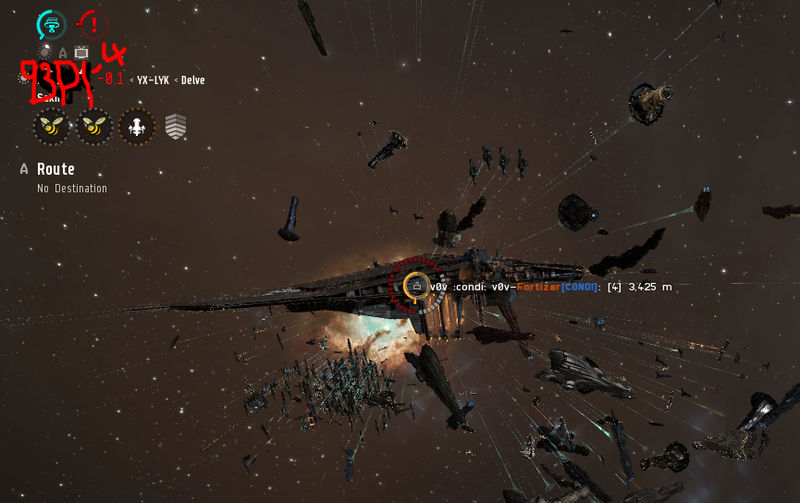 Low sec space posed no threat and it wasn’t until the path brought me back into null sec that I ran into some additional trouble. There was a drag bubble in EWOK-K on the O-N8XZ gate that pulled me out of warp shy of the gate. However, no hostiles were minding the store and a lone TNT pilot was plinking away at the bubble to take it down. I would have joined in to help… Asher and Ranger Gama were already over the finish line… but fireworks don’t do much. After that it was just a few more empty gates and I was over the finish line myself. There I burned over to Asher and Ranger Gama and joined in the shooting of fireworks. Apple Pear showed up after a bit, followed by Elisha Okaski, who made it all the way from K4YZ-Y in his pod, earning him a special commendation. For my third place finish I won a free ship of the line for whatever Asher’s next Reavers doctrine ends up being, mostly because Ranger Gama was the organizer so counted himself and Asher out of the contest. Elisha Okaski will get a ship as well for persevering through most of the race in a pod. I handed Ranger Gama back my ship so he could use them for some future event and thanked him for setting this up and, of course, declaring me one of the prize winners. We’ll have to see what the next doctrine ends up being. That was probably my last op of the year. Below some screen shots of us shooting fireworks. We had to turn the MWDs off as the ships were otherwise outrunning the launchers. 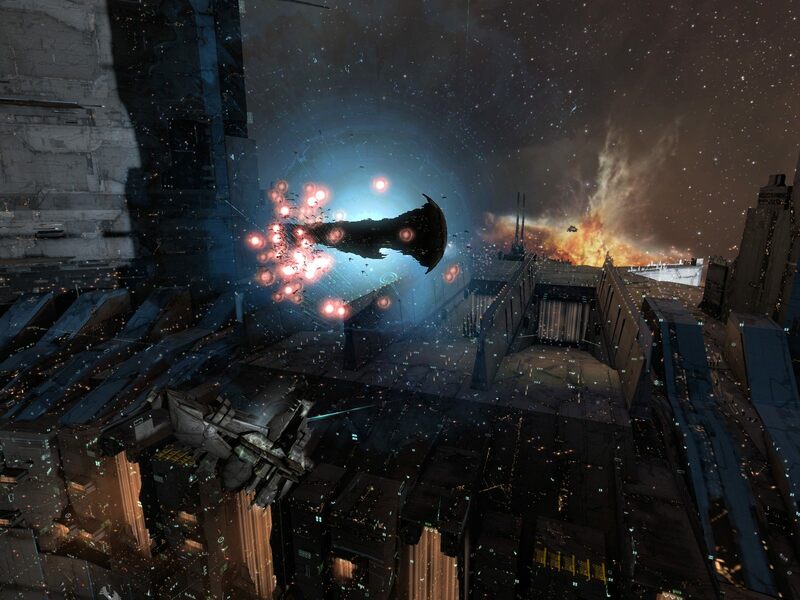 This entry was posted in entertainment, EVE Online, Null Sec and tagged Apple Pear, Asher Elias, Ranger Gama, Reavers on December 30, 2017 by Wilhelm Arcturus. As I noted the other week, the once simmering war in Tribute came to something of a boil recently as Circle-of-Two saw themselves driven out of system after system as NCdot, Pandemic Legion, and assorted allies marched towards their capital in M-OEE8. CO2 lost their capital on Friday, leaving them with only a couple of systems in the region, plus their holdings in Vale of the Silent, where they have the constellation DMXN-3. There was some war news the week before last on the Meta Show when guests revealed that Pandemic Legion had decided they did not want to move to M-OEE8 any more, the ostensible reason for the whole conflict. Back in October they were saying how great M-OEE8 would be, now they are not interested. 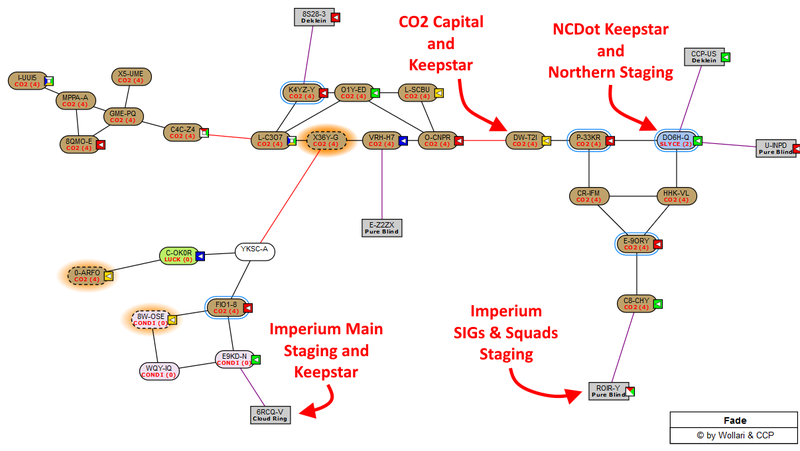 However, despite that news, NCDot, Pandemic Legion, and their allies planned to continue to prosecute the war, including taking down the Keepstar that CO2 had raised in M-OEE8. 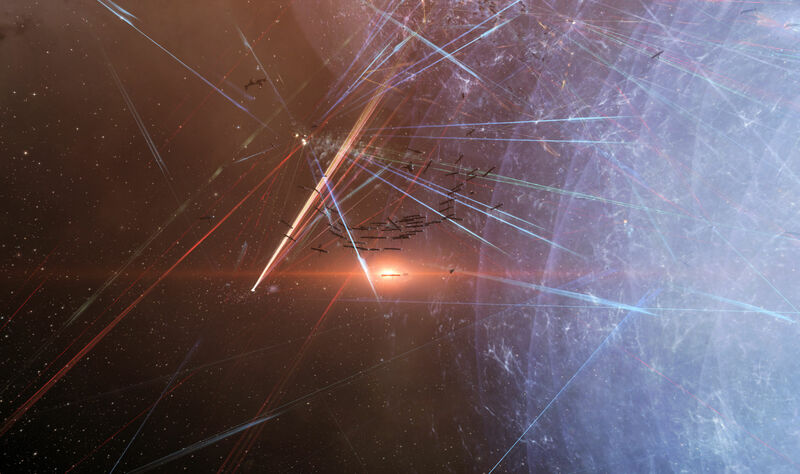 CO2 moved their capitals to low sec, within jump range of their Keepstar and the fight for the massive citadel was on. Killing a citadel takes three attempts. There is the shield timer, the armor timer, and then the final battle to kill the structure. If the attackers fail at any step, it is back to the start again. The attackers did the shield round successfully, and it was time for the armor timer yesterday. The armor timer was nicely timed as it was set to come out around 19:00, putting it in the Sunday sweet spot between Euro and US time zones, allowing the maximum number of players to pile in on the fight. Of course the Imperium wanted to drop in on the action as well, so an op was set to form up at 17:00 to take the trip north to shoot all the things. Form up actually went smoothly. 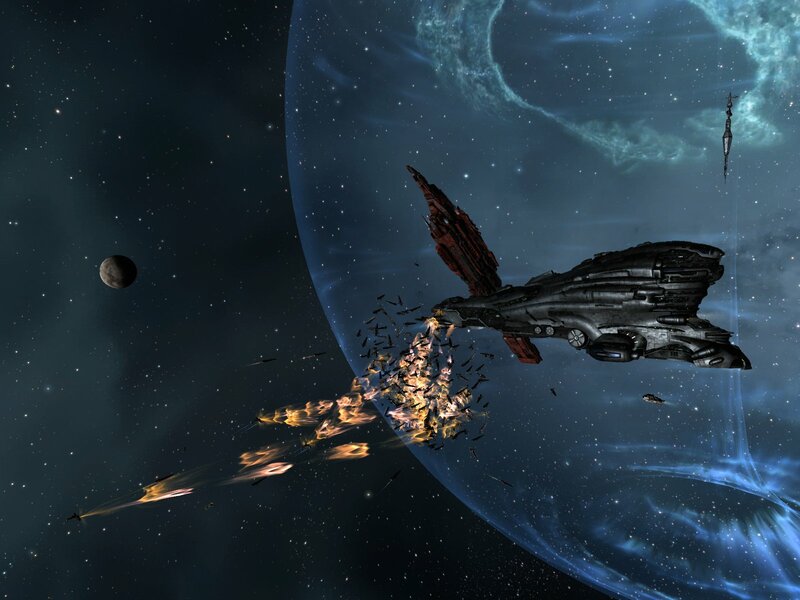 The Cerberus doctrine ships on contract ran out quickly, but the fleet was not lacking for number. 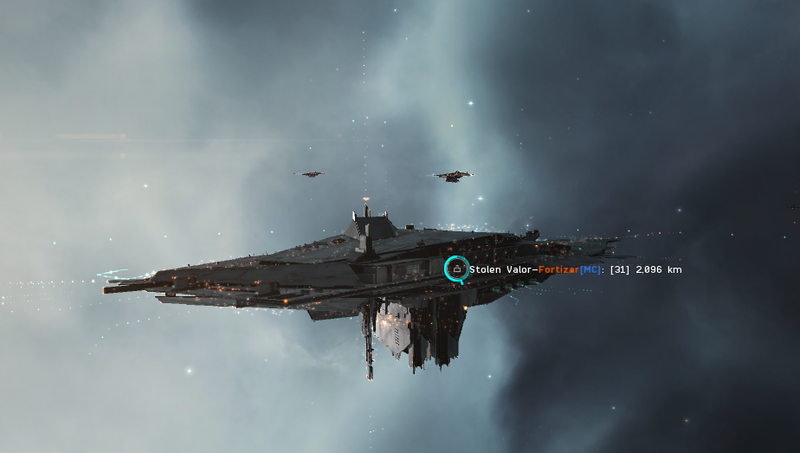 There were a couple of special items we were asked to carry, and a few of us X’d up to fit remote sensor boosters to enhance the targeting abilities of Asher’s Loki FC ship, but nothing big got in our way and we were soon out and in range to the titan atop our own Keepstar and bridging out to the first leg of our journey north. 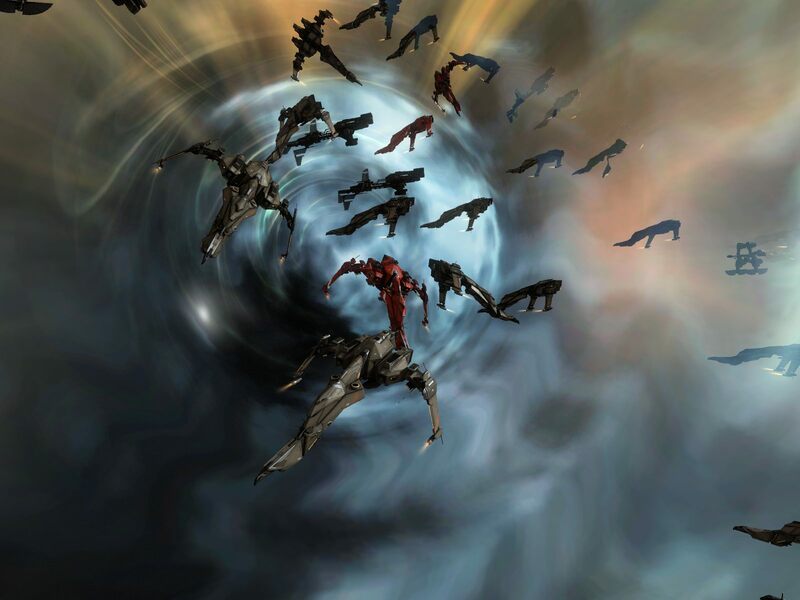 From the cyno, we had a free burn for a few jumps and then held to group back up again, at which point we were guided to a wormhole. Boosters and logi went through first, then the ships of the line. But we need not have worried, as the hole was fresh and still looked good after we passed through. The hole put us in Daras, a low sec system not too far from M-OEE8. We moved along together, then held up at the station in Taisy, the low sec connection to M-OEE8, and docked up for a final set of bio breaks and drink refills. Once set there, we undocked and warped to the gate. From there we had only to jump to enter the fray. The fray and time dilation and lag and all the issues of a big fight. You could see the point at which you ceased to be in Taisy on the jump and were part of the load on M-OEE8. The warp tunnel itself slowed dramatically as we passed through into the maelstrom. 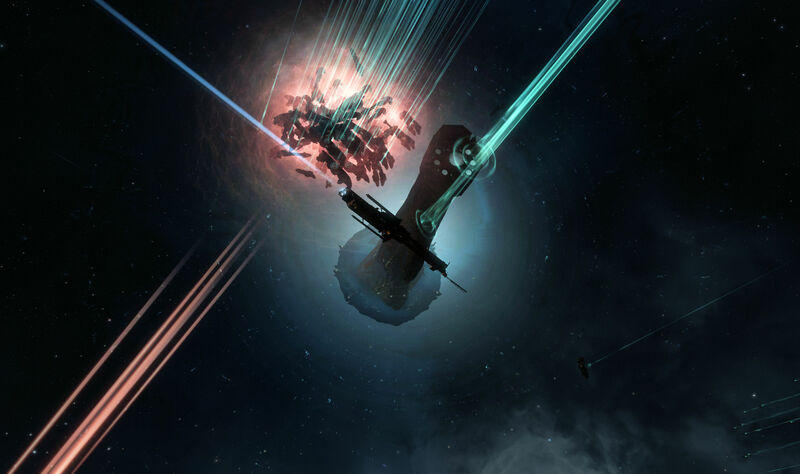 On the plus side, CCP had clearly been notified that the fight was pending and had reinforced the system. It appeared to be on its own node and not bringing down the surrounding systems. If you were in Taisy, for example, you might not know what was going on next door, aside from the high amount of traffic passing through the system. On the other side however, the time dilation began. It actually wasn’t so bad when we landed in the system, hovering in the teens. But the timer hadn’t run down yet, so the shooting had yet to begin, and there were still people piling into the system. 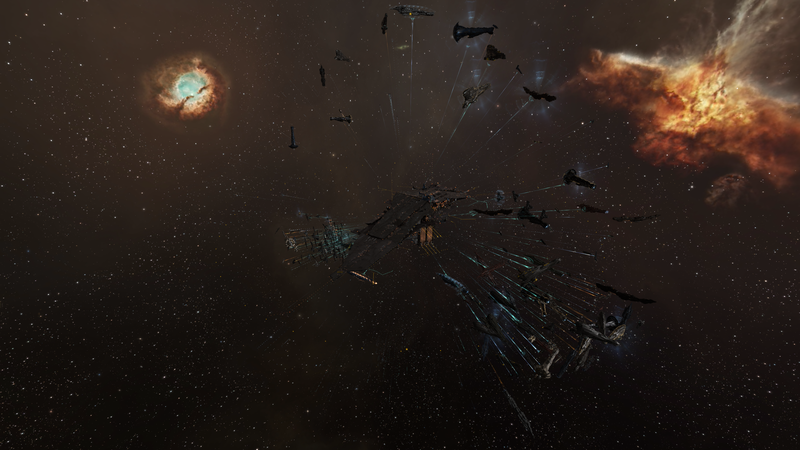 Asher warped us to a perch on the Keepstar grid and we could see the forces arrayed about the citadel. And the time came and the universe went to hell. More people piled in. I saw Local go above 4,400, though I tried to keep that window closed as it was both full of the usual spam and processing that text was causing a noticeable drag on frame rate. The thing with time dilation is that it can slow actions down to as low as 10% of normal speed, but sometimes that is not enough. This was one of those times. When you go beyond that, the system load manifests itself in other fun ways. Modules fail to activate or deactivate. One of our problems was simply being able to get the fleet to activate missile launchers, launch a volley or two at a target, and then deactivate them in order to switch targets. The launcher modules would site there blinking red at us for ages. 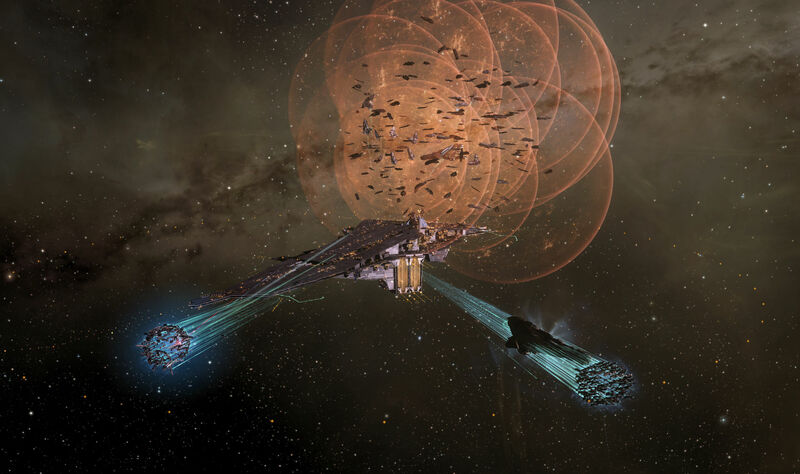 At one point Asher asked on coms why I was broadcasting “Enemy Spotted!” That is one of the least useful fleet broadcasts, which I turned off ages ago. The default key for that is “Z” in the settings. I have the toggle UI option set to Alt-Z. However, the systems was losing my keyboard inputs (I had to make several attempts each time I toggled the UI) and it was sometimes just catching the “Z” causing me to broadcast. I went and turned that off, but for a bit I was “that guy” in fleet again. Then there was the UI, which has a good chance of drawing incorrectly in such situations. I totally lost the Route view in the upper left of the screen, which I only noticed when we were leaving. My overview ended up with a couple of ships stuck on it at 0m that simply were not there. And when warping the UI didn’t always match up. 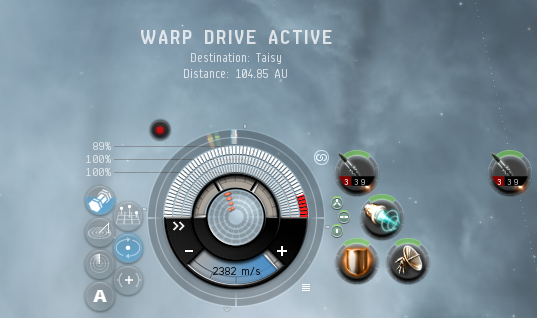 Warp drive active at 2,382 m/s? It said that for most of my failed warp. And sometimes the client would just give up. 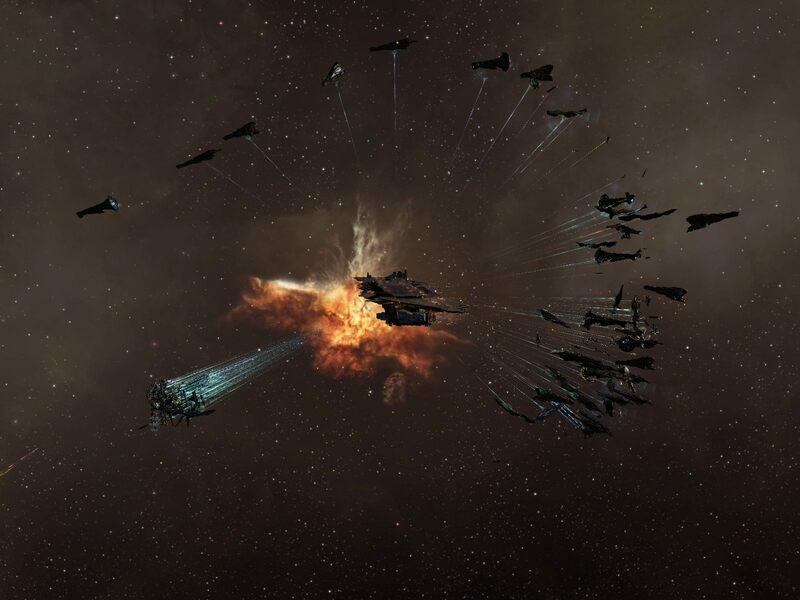 There was a moment when the point defense system on the Keepstar was activated and it was reported that a couple hundred people were knocked offline. I was knocked offline a few times during the fight, including at the point defense activation. The first time it took me 15 minutes to get back into the game. My ship had been warped off to a safe, so I had to wait while it slowly warped back. Fortunately our fleet hadn’t moved too far so I was close enough to catch Asher’s next warp, which got me back in the ball of Cerbs again. The next time the client gave up, I was back into the game in about five minutes, as I was still in formation, targets still locked, and providing remote sensor booster support to Asher. Great! And then a bit later the ship did its disconnect routine and warped off the a safe and then back to the grid, leaving me off on my own again. Fortunately Asher would slow down every once in a while to let people catch up. 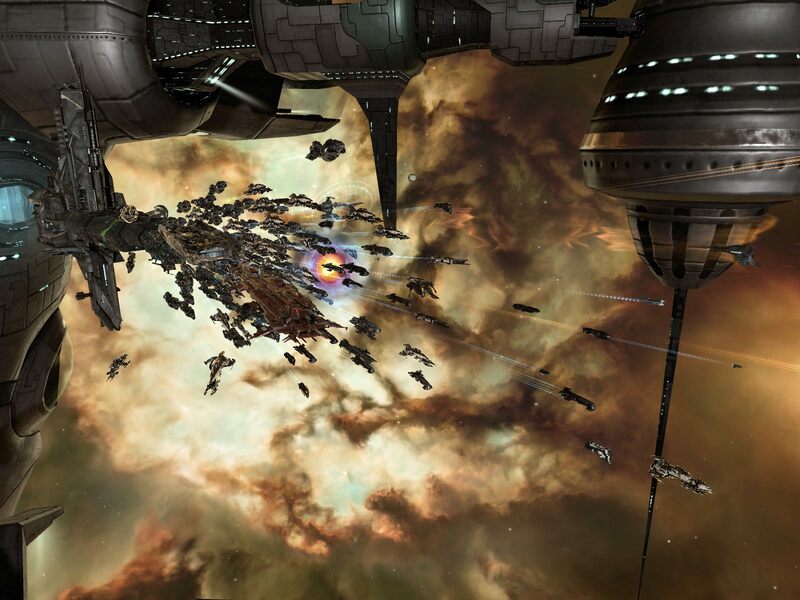 But for all of that, it was an epic battle with sights you do not see every day as multiple fleets of sub caps flew around the grid, dreadnoughts dropped on the citadel, and the defense batteries blazing away. 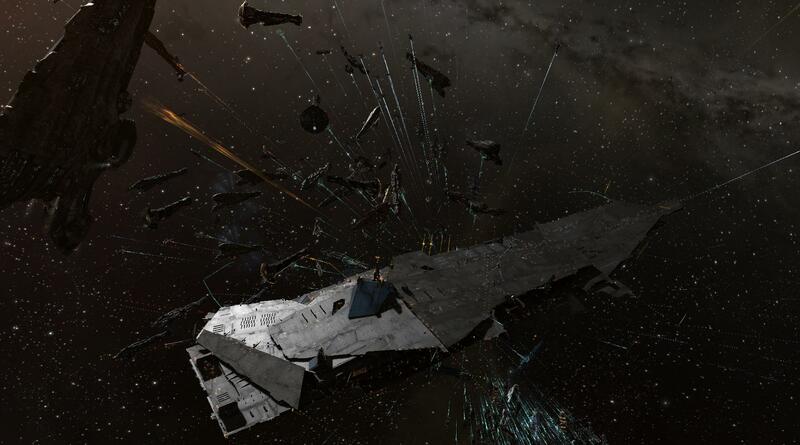 Somebody even grabbed some video of us swooping through the fight with the Keepstar in the background. We were there for targets of opportunity, willing to shoot either side in the conflict as they came into range. 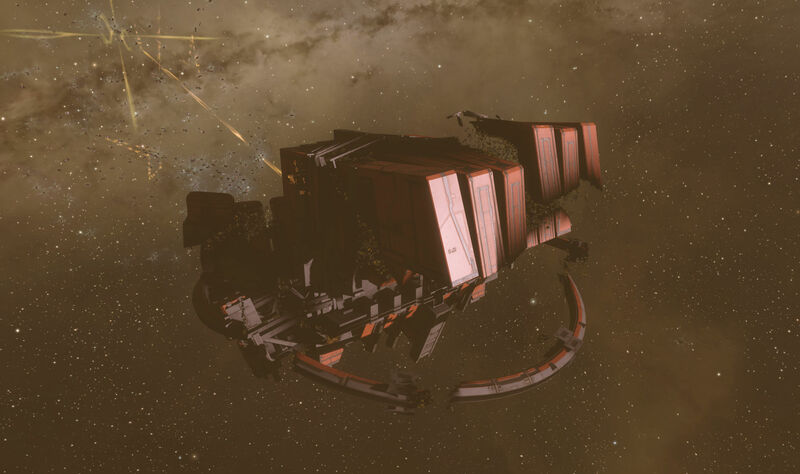 The only thing we were not there to shoot was the Keepstar itself. Since it was just the armor timer, there would be no kill mail, so we were not inclined to waste missiles helping the attackers. They had plenty of firepower on hand, once they brought it to bear. 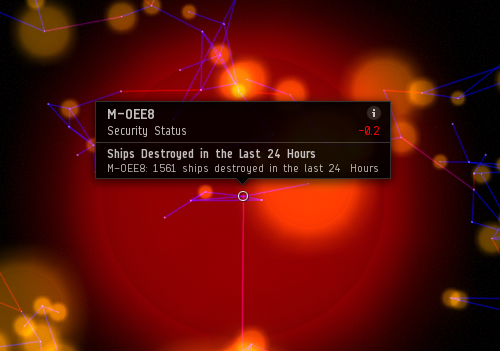 There was a gap when the repair timer started its 15 minute count down and when the attackers got enough damage onto the citadel to halt it. But at just shy of the four minutes left mark the damage stopped the clock and there it stayed until the armor was slowly stripped away. There is a conspiracy theory going about that the Imperium was there to support CO2 and TEST, but it has no basis in reality. 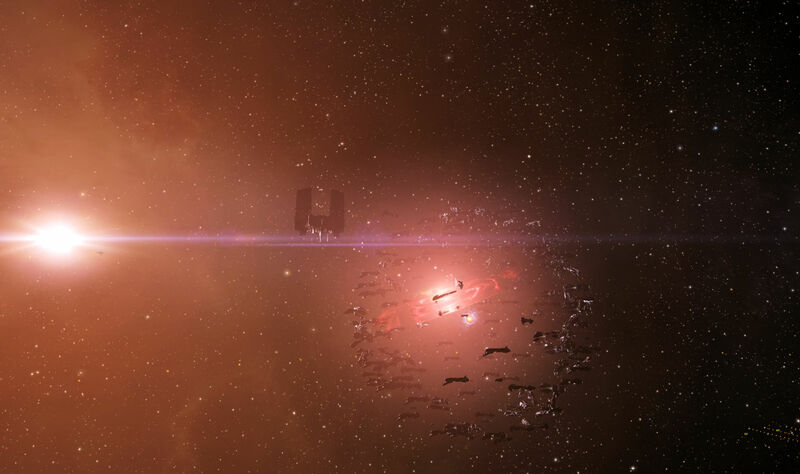 Apparently somebody in CO2 temp blued us, which makes sense, because we were not there to shoot the Keepstar, so why bother with us? And still, that didn’t keep them from killing Xenuria. Our first target was a CO2 machariel, after which we took shots at a PL Typhoon fleet, various bombers that landed in the vicinity, and then a fleet of dreads that dropped on grid for the fight. 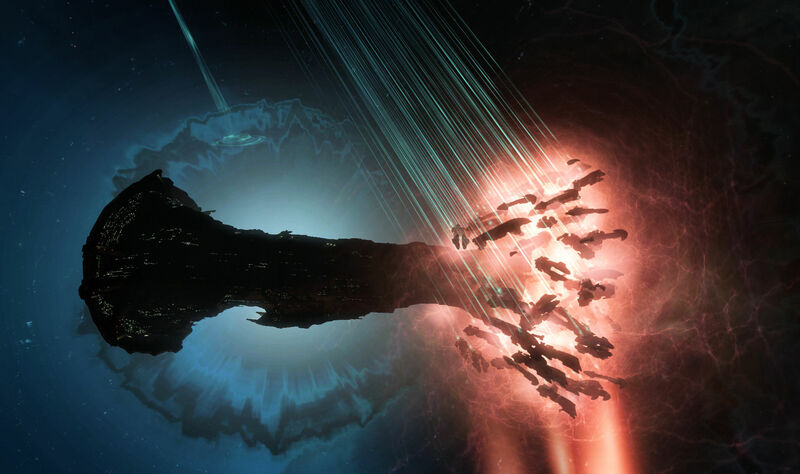 As it happened, our targets tended to be the attackers, as the defenders were sticking close to the Keepstar while we were hunting out along the periphery. Then, after the fight had dragged on, the defenders started pulling back, the armor layer looked to be well on its way destruction, Asher had been alpha’d off the field, and it looked like time for us to head home. Corbzilla took over the FC position and tried to get us to the Taisy gate. This ended up taking about half an hour, and not merely because the warp was 104 AU. Several of us had problems just getting the ourselves into warp. I ended up in the strange warping but not warping state which actually moved be about 30 AU and then stopped. 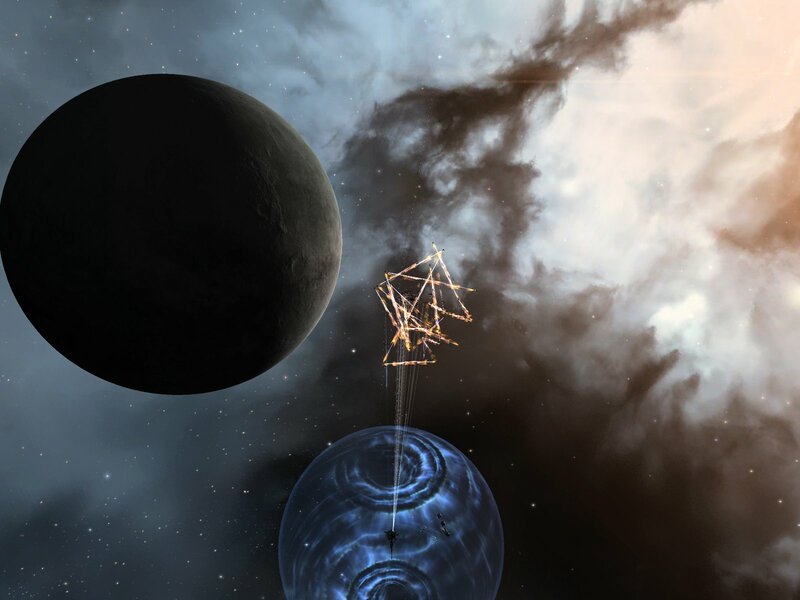 Eventually I was disconnected and then had to warp away, then back to the Keepstar (at which point my overview was totally hosed, as it showed nobody on grid with me besides the citadel), and then off to the Taisy gate. And still I was not the last fleet member through the gate. The fleet was holding on the far side and there was a rush of joy as the slow warp tunnel suddenly sped up and spat me out into low sec. In some ways it was like being able to breathe again. Corbzilla moved us back to Daras and the wormhole back south. It was still there, so he had the boosters and logi move through first, then gave the word for the rest of jump, but the wormhole collapsed before the whole fleet got through, so some of us had to move through high sec while others had a much shorter ride home. I lucked out and got through the hole. Of course, nothing is ever easy. An incursion had dropped in the constellation where our wormhole put us, so Plaid Rabbit shepherded us through that until we were clear to fly freely back to our staging. 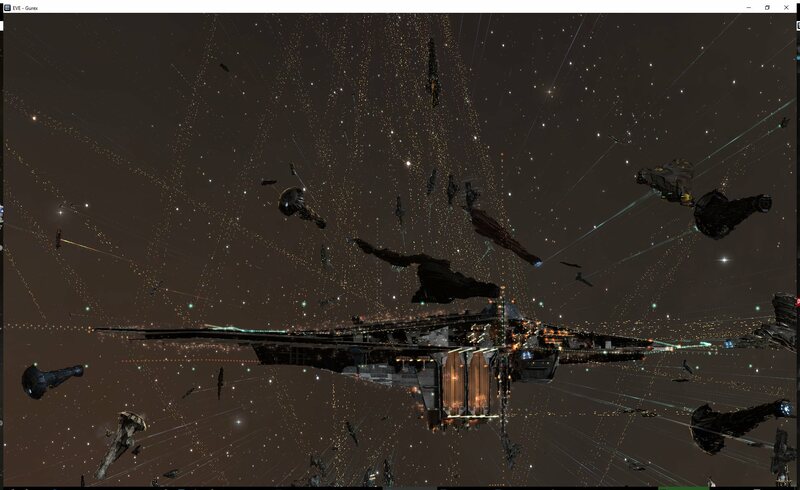 Approximately six hours after we undocked to get on the titan I docked back up in our Keepstar. It was a long day, though I still had time to put the Christmas lights up on the house afterwards. I don’t mind a long op like that for an epic fight, but it isn’t something I can do every day. Still, the draw of the fight helped boost the player count past the 50K mark again, though we didn’t pass the high water mark of two weeks ago. 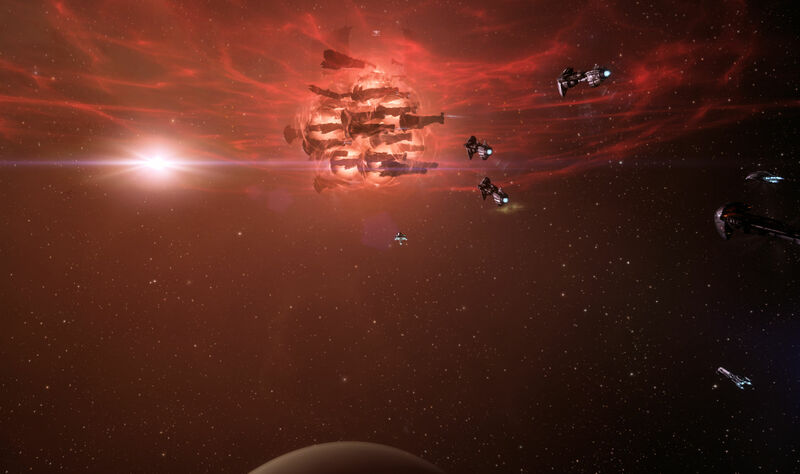 And now we have a six day wait for the final timer on the Keepstar in M-OEE8, which comes out on Saturday. 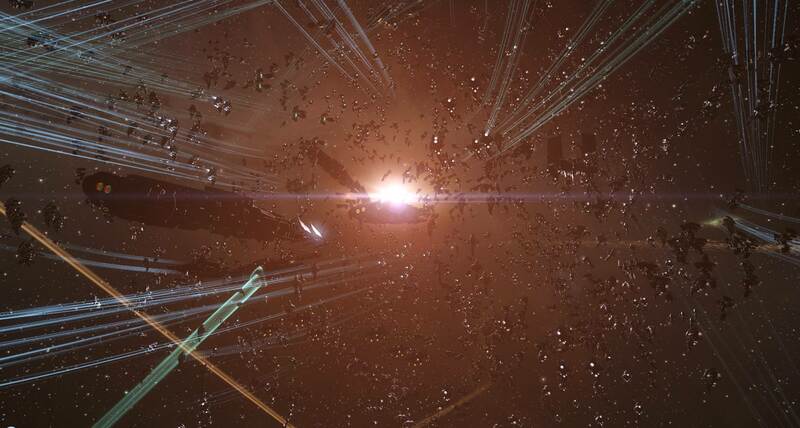 I suspect that the system will see even more people in local as they try to get in, shoot some people, and get on the Keepstar kill mail. We shall see if I can make that. Not sure I have another all day fleet op in me this week though. For a timeline of events, there is a post up over at Imperium News that has you covered. 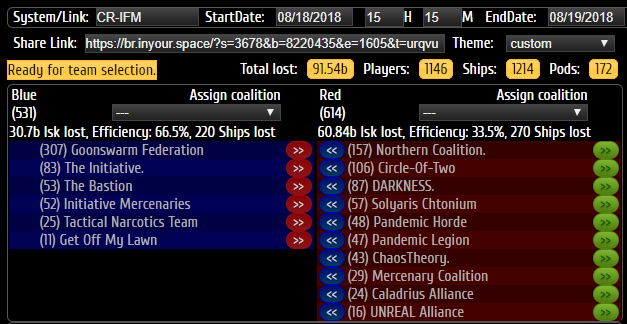 I haven’t seen any battle reports yet, as zkillboard seems to still be digesting the battle and trying to handle all the people hitting it looking for a battle report. I’ll link whatever else shows up here later. And, finally, I have a series of screen shots from the battle. 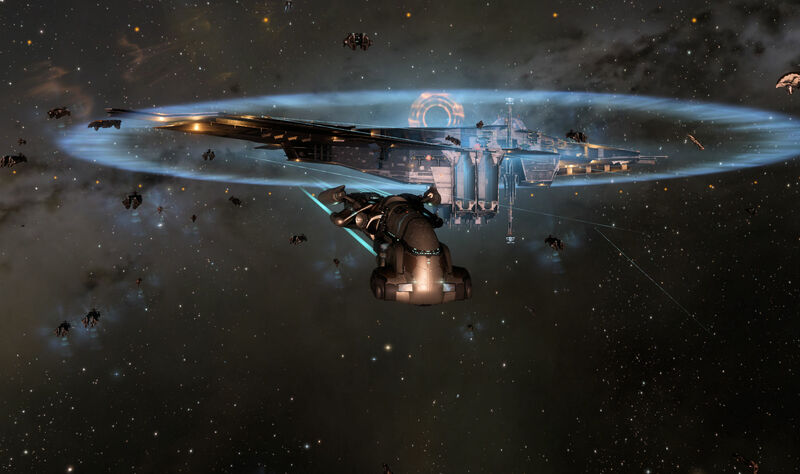 This entry was posted in entertainment, EVE Online, Null Sec and tagged Apple Pear, Asher Elias, Circle of Two, Tribute War 2016 on December 5, 2016 by Wilhelm Arcturus. 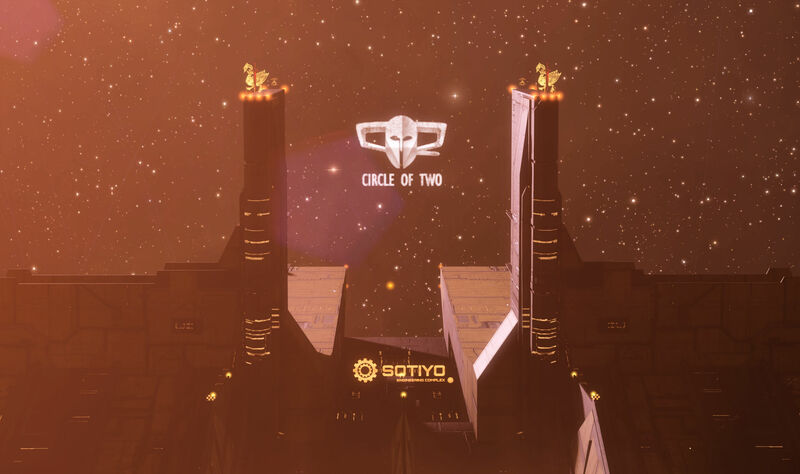 TODAY 23:00 MAX NUMBERS DIVORCE YOUR CHILDREN, SACRIFICE YOUR WIFE AT THE ALTAR STRAT OP, SUBS, CAPS, SUPERS, TITANS, RORQUALS. BE THERE. Somebody was trying to impress upon us the importance of the 23:00 op. As it happens, 23:00 is about the earliest time on a weekday when I can possibly make a fleet op, and I was home in time, online, and ready to pile into Asher’s fleet once the official ping went out and the fleet went up. 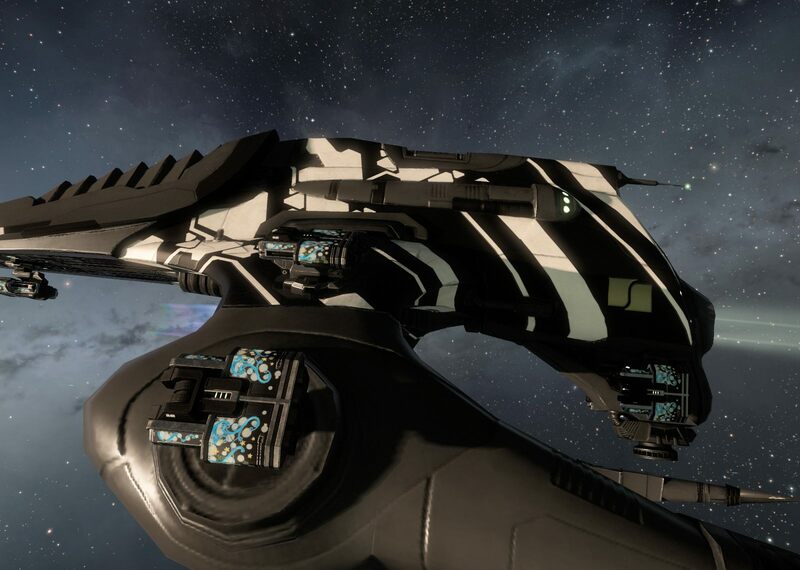 This was officially a Proteus fleet and I got into my Oneiros again. 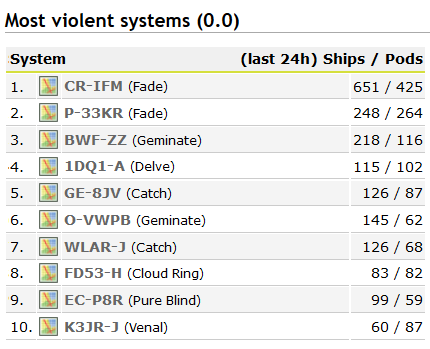 The fleet filled up quickly enough and a second fleet went up on Apple Pear, one of our EU TZ FCs who was up late. His fleet seemed to be… less discriminating. There was a call to get people in fleet, alts included, in whatever ship was to hand. So I logged on my combat alt, put him in a Crucifier, and had him join Apple Pear’s fleet. 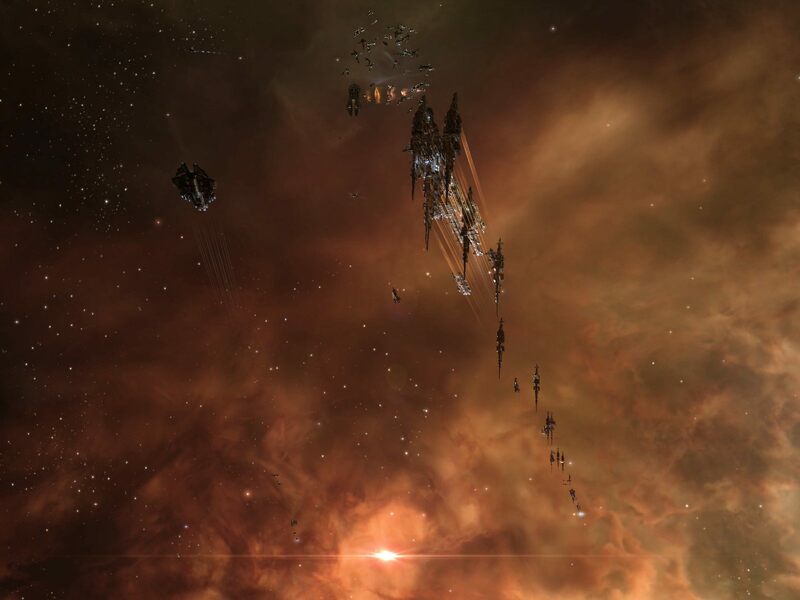 Meanwhile, there was a capital fleet forming up… and all of us were using the same coms channel. While confusing at times, this is generally a sign that we are doing some sort of coordinated op. With one fleet full, another filling up, and the caps doing whatever it is they do as they assemble, we began to undock, with Asher’s fleet going first. 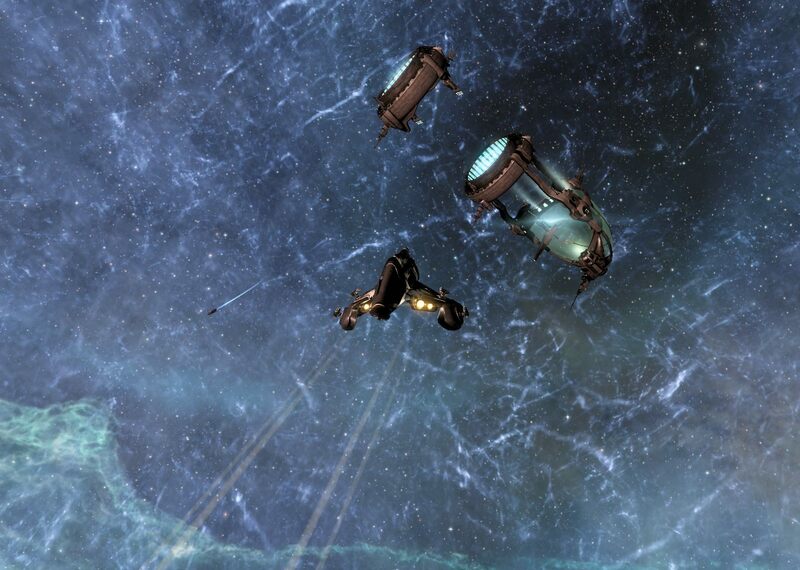 We undocked, headed to the 1-SMEB gate and jumped through. The Apple Pear’s fleet undocked, warped to the gate, and then stood to there as the capitals began to hit the gate. The landed there in two streams, one from the station and one from the safe POS, and jumped through. On the 1-SMEB side, once most of the caps were through, Asher warped us to a spot on grid. Had I been more aware of my surroundings, I would have seen it on the overview. But, as I have grown used to citadels showing up there, another one didn’t strike me as something worth noting. But as when we landed on it, I saw what was going on. Yeah, I know, big deal, right? 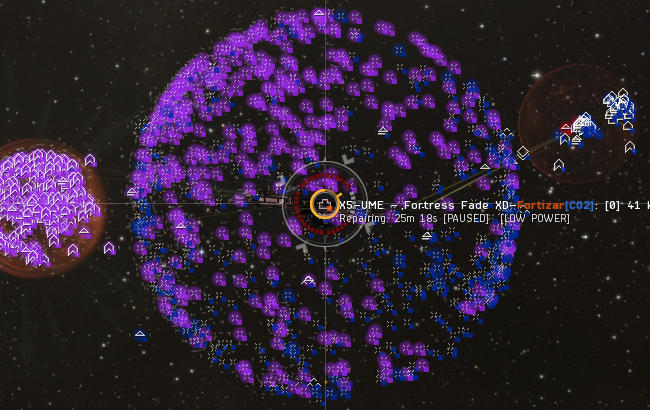 There are lots of Frotizar’s in New Eden now. We lived under the unblinking gaze of three of them in the Quafe Factory Warehouse back in Saranen. 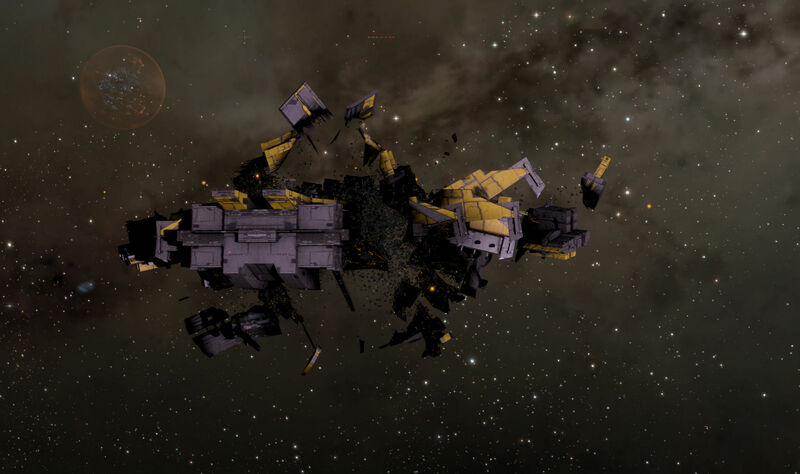 The Imperium has put down dozens of Astrahus medium citadels. They were in Saranen, all over Venal, in Pure Blind, and dotted the route south to Delve. 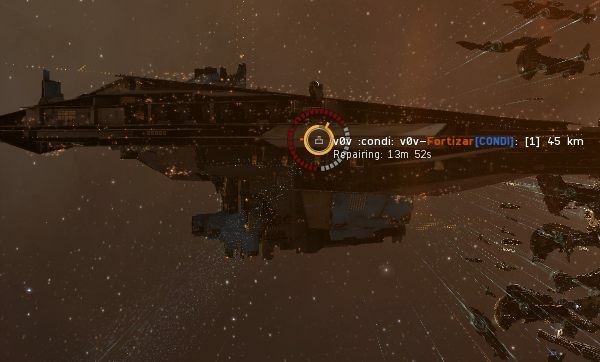 But for us to actually bother putting down a Fortizar, as common as they may be, is something of a statement I suppose. And we were all there to make sure it went online without a hitch. So all three fleets spread out around it and watched it count down through its final period of vulnerability, after which it could be gunned and would require the whole timer routine to kill. One hostile landed on grid with us during the process, but warped off quickly. Otherwise nobody showed up to try and keep our new citadel from going online. When the counter finished and it was live, there was some cheering. Asher and another titan pilot shot off their lance doomsday weapons. 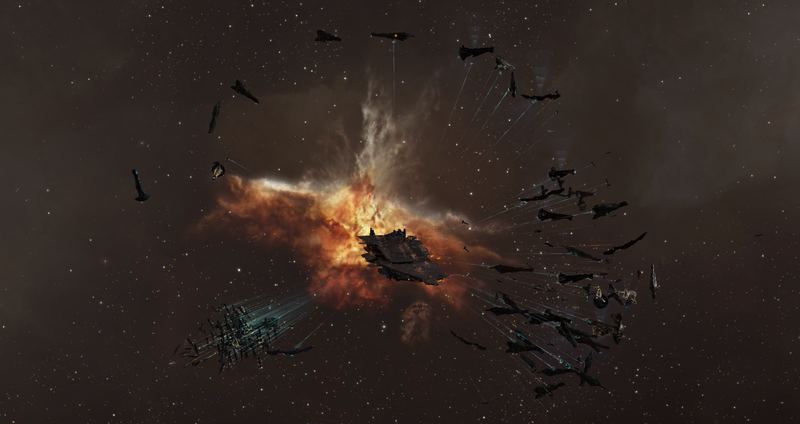 And Jay Amazingness let us shoot his Chimera, a sacrifice to the welp gods in Delve no doubt. We were also encouraged to troll Reddit by putting up pictures with 1-SMEB replaced with 93PI-4. Somebody did one that looked pretty good. My own attempt was a bit more… raw… in the grand MS Paint tradition. And that was that. 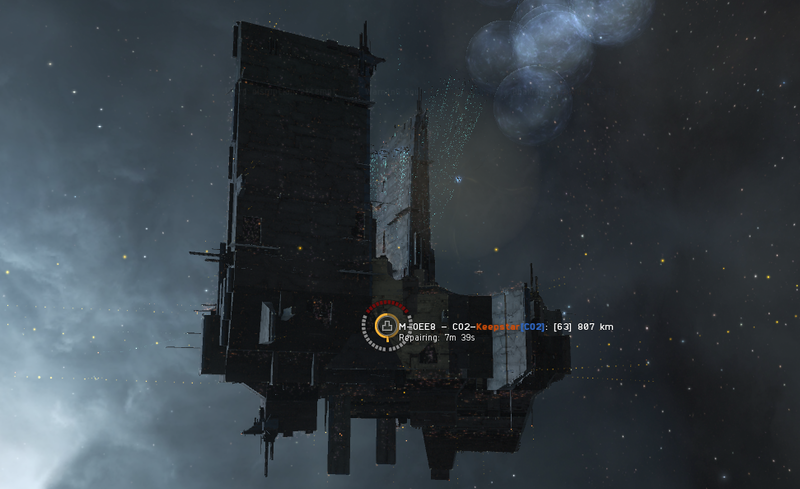 We had a large citadel in Delve. It isn’t a Keepstar, but we’ll get there I bet. Not a terribly exciting event, but one that was good for the team. Once we were done shepherding the capitals back, the op was done. We were encouraged to go mine and rat in 1-SMEB to build up the ADM. I got out my Procurer to help out, but as it turns out 1-SMEB only had two asteroid belts (one of which was already mined out, and the other was almost gone) and wasn’t spawning any mining anoms, which put a damper on that plan. So I decided to use the time to jump clone back to Jita to list all the items I shipped there from Saranen. 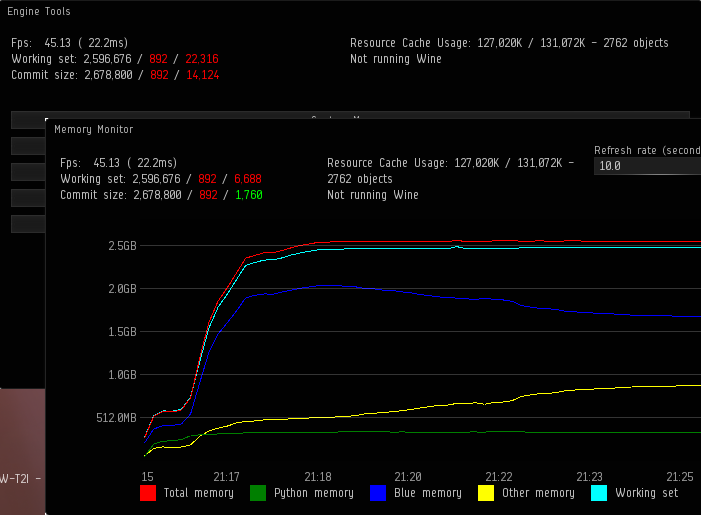 More assets converted to ISK. I also stopped to look at the TNT Delve 2016 video. See, we’re still a thing, we have a video! 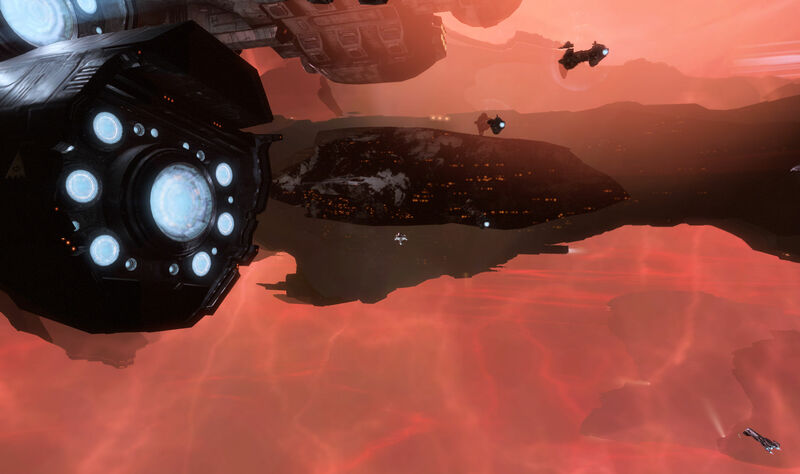 This entry was posted in entertainment, EVE Online, Null Sec and tagged 1-SMEB, Apple Pear, Asher Elias, Citadel, Delve 2016, Fortizar on August 2, 2016 by Wilhelm Arcturus. It was one of those weekends where I didn’t actually have much on my plate to do, just enough to chop the days up into chunks too small to go on a fleet op safely. The problem with fleet ops is that they could run anywhere between 15 minutes and four hours, given recent history. But Sunday morning I looked to have a stretch of free time and there was a fleet going up under Apple Pear, one of our German FCs. 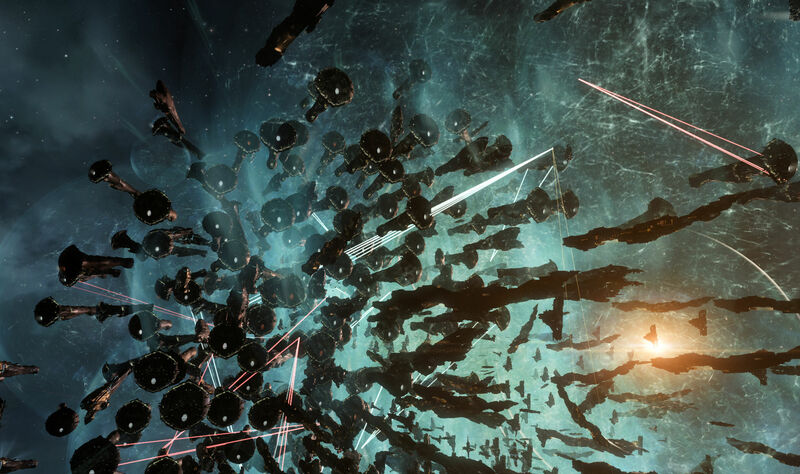 It was about the right time for cross-pollination between US and EU players, our morning and their evening., and it seemed like it might be a busy day in New Eden, with the player count closing in on the 40K mark for the first time in quite a while. I didn’t feel the need to add to that pile of stuff. So I got in my Hurricane and ignored the pleas of the FC to get into support roles. Today I was going to shoot things. We were also told to stock up on ammo for a POS shoot. You don’t want to expend your expensive faction ammo shooting a tower. However our staging system was fresh out of normal, non-faction ammo, so I loaded up a bit on some of the less expensive faction ammo. At least with our projectile fit ‘canes, the damage is high and the rate of fire is low, so you don’t need a ton of ammo for a tower shoot. Finally, once things seemed to be getting sorted, we were told to undock. 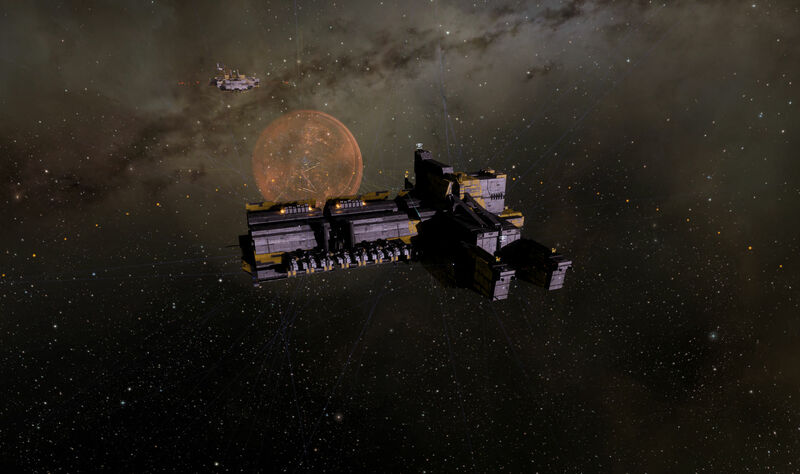 From there we were warped to a POS where we found an Erebus waiting for us. We all got within 2,000 meters of it and waited for the word that a jump bridge would be going up to send us on our way. As we waited, the Erebus suddenly turned into a red ball of building power and disappeared into distant space. Coms were immediately overwhelmed with laughter and wry commentary as we suspected we had just witnessed yet another titan pilot hitting jump rather than bridge. I’ve been there for that before. We bounced around the system to another POS and another titan where we sat for a bit until we were given a destination in Black Rise, just 11 jumps away and told to align to the out gate. No ride for us, we were going to have to walk to our destination. Via gates. Through tidi. Uphill. Both ways. Eleven jumps doesn’t seem like much, just as about 40K accounts logged in doesn’t seem like much, but squeezing more than 200 of us through low sec on a busy Sunday turned out to be a bit of a chore. There was time dilation and traffic control and slow loading grids all the way to our first destination. Oddly, there were not that many disconnects… often there are when the servers are straining… but there were a few and we waited for them to get back in game and catch up. It was a long trip for just eleven gates. We finally arrived at the first target, a small tower, and put it into the reinforced state. Then we moved over a couple more systems… slowly… and reinforced another tower. Then we did a third and then a fourth. The shoots themselves were pretty quick. We were putting out enough damage that knocking the shields down to the 25% mark, at which point the reinforcement timer kicked in and we were done, was taking 19 rounds out of the 20 loaded into each my guns. So not much ammo expended, with 114 rounds total across six guns for each tower, for about half a million ISK in faction ammo expended total. We ran across a couple of targets on the way out and back, but due to being in a bit of a hurry and the fleet being cleared to “jump on contact” at each gate in order to keep things moving along, I somehow managed to always be on the wrong side of each gate when something happened. All in all, we were out for about 2.5 hours, of which maybe 45 minutes was hitting, or traveling between, targets. The rest was waiting and the slogging through tidi and traffic control and keeping everybody together. Pretty normal stuff for a main fleet strat op. Apple Pear is good about putting up after action report summaries in the forums, so we can go back and get a peek at what was going on. Nothing is ever quite as it seems to the line member. In this case we were initially formed up to cover a capital fleet operation in Cloud Ring, there was a hint that we might get some action, but when that failed to materialize we were sent off to hit the towers, but couldn’t get a bridge out because our cyno ship got popped before they could light it up. So maybe that titan did jump on purpose. 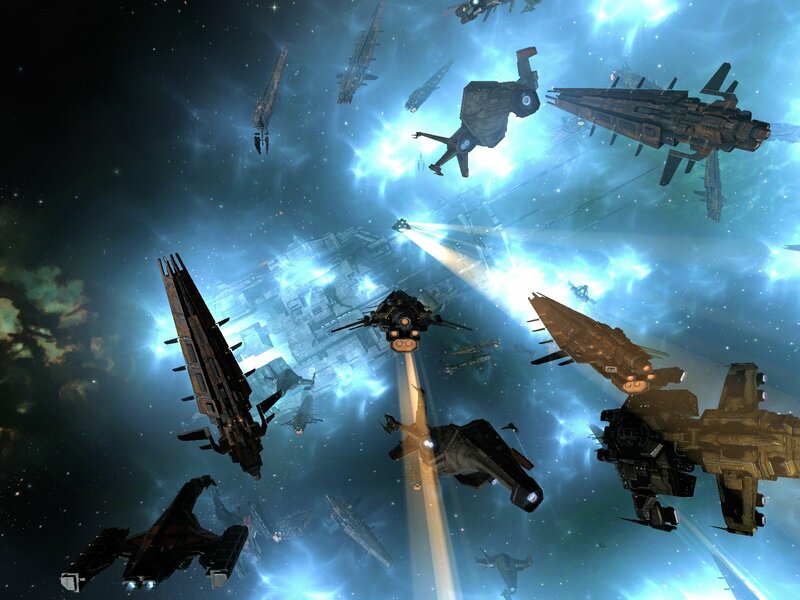 Life in EVE Online. 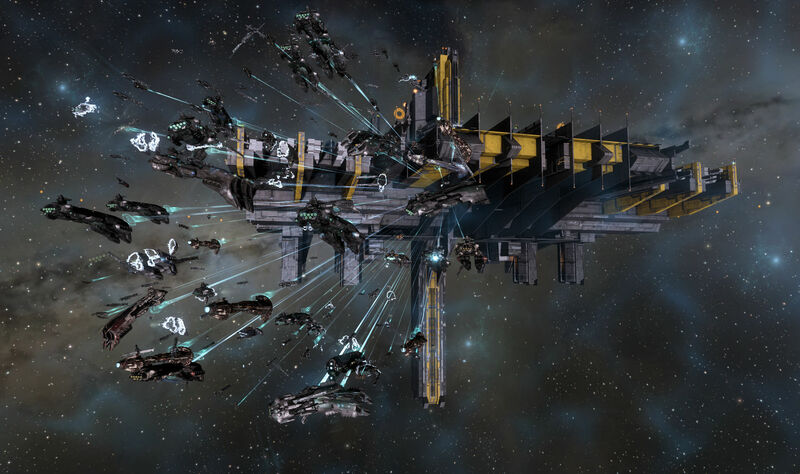 On the bright side, there is some word of a Reavers deployment in the offing, so we will once again be able to escape the main fleet and run off on our own for smaller ops. Pictures from the fleet formed up in a gallery. In a couple of these you can see some non-doctrine ships that came along. There was a shield fit Harbinger and a Vindicator. At one point I would have been impressed to have a Vindi along, but I recently did a couple incursion fleets, where they are a staple, making them much less special. 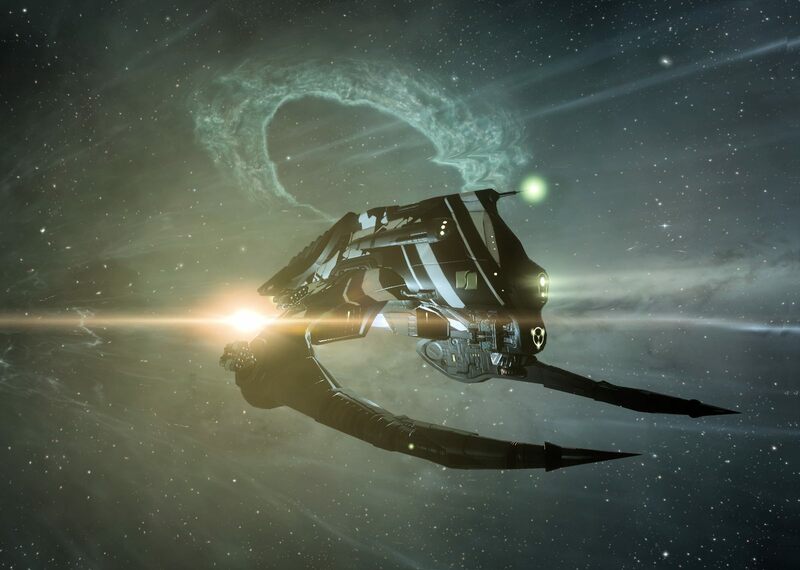 This entry was posted in entertainment, EVE Online, Null Sec and tagged Apple Pear, Black Rise on January 11, 2016 by Wilhelm Arcturus.